#JUSTIN #BREAKING VELLORE CONSTITUENCY ELECTION: HC DELIVERS VERDICT, ELECTION STAYS CANCELLED. 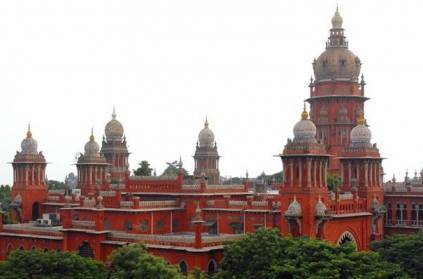 Madras High Court delivers the verdict on the petitions asking for a stay on the cancellation of Lok Sabha election in Vellore constituency by Election Commission. The petitions have been dismissed and the election stays cancelled for the constituency. The Election Commission has decided to cancel the Lok Sabha Election to Vellore constituency in Tamil Nadu on Tuesday after unearthing Rs. 11.48 crore worth unaccounted cash during an IT raid on March 31 at a DMK member's house. This is the first time that election is being cancelled due to overuse of money. DMK has alleged that it was an attempt to "besmirch" the party by using EC while DMK treasurer and the candidate, Kadhir Anand's father, Durai Murugan has called it "murder of democracy." While the unaccounted cash in DMK's side has caused the issue, another video of Vellore constituency's AIADMK candidate A.C. Shanmugam's video where he talks with other parties' members about distributing cash to voters has gone viral. ADMK has claimed that the video is dubbed. While the issue on cash stays as a hot topic, AIADMK's candidate for Vellore, A.C. Shanmugam has approached the High Court to stay the cancellation of the election. The argument was heard on Wednesday and the judgement was reserved to be announced at 4.30 PM, the same day. DMK's Kadhir anand has approached the Election Commission asking to take back the decision to cancel the election. The court has delivered the judgement on the petitions filed challenging Election Commission's decision to cancel the election in Vellore constituency. HC has dismissed the petitions and the election stays cancelled. All other consituencies will go into elections except for Vellore as planned on April 18. On Tuesday evening, DMK's Tuticorin candidate and DMK chief's sister, Kanimozhi's Tuticorin residence was raided for around 2 hours and earlier on Wednesday, Pondichery's former CM's residence was raided. Later the same day, AMMK candidate's office was also raided. ‘இந்த ஏரியா மக்கள் காலையிலே போய் ஓட்டு போடுங்க.. கனமழை இருக்கு’..வெதர்மேன் அலெர்ட்! ‘10 பேர் டீமா போங்க.. 2 பேர் போலீஸ் வருதான்னு பாருங்க..’.. பணப்பட்டுவாடா வீடியோவால் பரபரப்பு! 'வழி அனுப்ப வந்தவனையே'...'வழி அனுப்பி விடுறதுனா',இது தானா'?...கொதிப்பில் வேட்பாளர்! ‘யாருக்கு ஓட்டு போடுறீங்க.. மோடி கேமரா பிக்ஸ் பண்ணியிருக்காரு.. ஜாக்கிரத’..பாஜக எம்எல்ஏ சர்ச்சை பேச்சு! ‘ஆளுங்கட்சியினர் ரூ.2000 நோட்டு கொடுக்கும் வீடியோக்கள்.. ஏன் நடவடிக்கை இல்லை?’ ஸ்டாலின் அதிரடி கேள்வி! 'கனிமொழி வீட்டில் எதுவும் கெடைக்கல.. ஆனா ரெய்டு போனது ஏன் தெரியுமா?’.. சத்யப்பிரதா சாஹூ! #JUSTIN Reason for IT raid in Kanimozhi's residence revealed! அதிக பணப்பட்டுவாடா.. வேலூர் தொகுதியில் தேர்தல் ரத்து.. ஸ்டாலின் ஆவேசம்! கையில குழந்தையோட வந்து.. கண்ணீரோட நிமிந்து பாக்குறாங்க.. உணர்ச்சிகரமான கமலின் புதிய வீடியோ! Thamizhachi Thangapandian reacts to Udhayanidhi Stalin's "Beautiful" comment! 'என்னை அழகு-னு சொன்னது தவறா'?.. சீறும் தமிழச்சி தங்கபாண்டியன்! ‘நமஸ்தே எலக்‌ஷன் கமிஷன்.. ரூ.75 லட்சம் தர்றீங்களா? கிட்னிய வித்துக்கவா?’.. புதுசு புதுசா கெளம்புறாய்ங்களே! கர்நாடக முன்னாள் முதல்வர் எடியூரப்பாவின் உடைமைகளை ஹெலிபேடில் வைத்து எலக்‌ஷன் கமிஷன் சோதனை! 4 சின்னப் பசங்க நடத்துற கட்சிதான் தி.மு.க... ஸ்டாலினை விளாசும் அன்புமணி ராமதாஸ்! ‘கையோட ஓட்டு போடுங்க.. மையோட வாங்க.. பைக் சர்வீஸ் இலவசம்’.. பிரபல நிறுவனம் அதிரடி ஆஃபர்! This page contains news relating to various facts and events. The views are generally about current affiars and general topics in diversified areas such as political, international, national, and regional issues, sports, health, travel, lifestyle, technology and business. People having similar interets on the above topics will find this page useful. Vellore constituency election: HC delivers verdict. | Tamil Nadu News.